Is Southeast Michigan drug dependent? Does America have a problem with drug dependence? And how can upper cervical chiropractic care help? Approximately 50% of Americans are on at least one prescription drug. 1 out of 6 are on at least three prescription drugs simultaneously. There are about 700,000 emergency room visits per year caused by drug interactions from pharmaceuticals that were properly prescribed. The rate of Americans addicted to prescribed pain killers is slowly rising every year, to the point that more Americans are dying from prescription pain killer overdoses, than overdoses from heroine and cocaine. America is only 5% of the world population, but U.S. citizens consume about 50% of the world’s pharmaceutical drug supply. Is this a problem? You bet it is. Every years tens of thousands of individuals follow the directions on the bottle of their latest prescription drug, only to land in the hospital. And sometimes, more than you might think, they don’t live to go home again. And some of those people live right here in Southeast, Michigan. 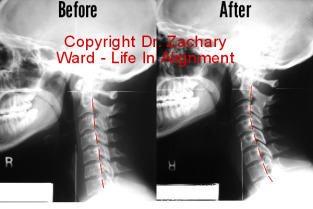 What does this information have to do with upper cervical chiropractic care? It’s simple. Because upper cervical doctors don’t rely on drugs or surgery, your upper cervical chiropractor cannot add to this problem. In fact, not adding another drug or another potential drug interaction is one really important reason that many people decide that it’s time to try upper cervical care. They want to step away from the drug-dependence of their usual health care. They want to see if they can have less pain, better movement, and a more responsive body without the risk of putting another drug in their body. Are you ready to reduce your dependence on medications? Find out if we can help you do that. Request a consultation via this website to see what areas of your health may respond to upper cervical chiropractic care.